The inaugural Boost x 11street ‘Win A Car’ campaign from September 28 to November 30 saw 40,000 transactions completed successfully and an increase of 127% in Gross Merchandise Volume (GMV) on 11street. With an average order value of RM68 that surpassed the minimum RM40 for eligibility, there was also a rising number of shoppers opting for Boost as a payment method. 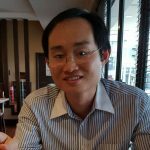 Kuala Lumpur, 20 December 2018 – 11street (www.11street.my), one of the leading online marketplaces in Malaysia recently embarked on a successful collaboration with Boost, the country’s leading eWallet with over 3.4 million users. This partnership kicked off to a great start with 37,000 orders placed by over 17,000 buyers amounting to 40,000 successful transactions. These transactions totalled an average order value of RM68, surpassing the minimum eligibility value under terms of the ‘Win a Car’ campaign of RM40 per entry. In addition to that, 11street also saw an increase of 127% in Gross Merchandise Volume (GMV) from the also rising number of shoppers who made purchases via the Boost mobile application during the two-month long campaign period. The top 3 categories that recorded the highest sales during the ‘Win A Car’ campaign were eVouchers, Food & Beverages as well as Groceries. These top categories are also reflected in the top selling items during the campaign, which include Petronas eVouchers, Xpax reload and household favourite beverage, Milo. These top purchases are an indicator that online shopping is slowly but surely becoming an integral aspect to Malaysian lifestyles as more customers are becoming assertive for quicker, easier and more value for money deals. 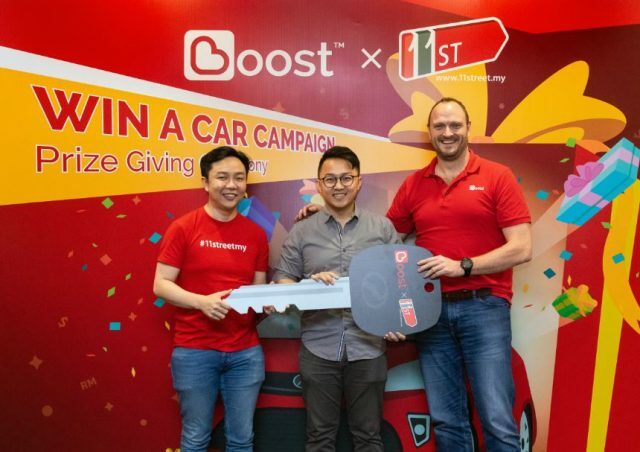 The ‘Win A Car’ Campaign was announced during the launch of the partnership between Boost and 11street in September, offering customers the chance to win prizes worth up to RM86,000. Amongst some of other awesome prizes claimed by avid online shoppers via this campaign are the Huawei Mate 10 Pro, the Apple Watch Series 3, Xiaomi Band 3, a PS4 Slim 500GB standalone console, 11street cart coupons worth RM50 and the grand prize – a brand new car! The success of this collaboration between Boost and 11street is also an indicator of the value of convenience in our fast-paced society. From being able to shop without ever leaving the house to never having to whip out cash or credit cards to make payments, everything is now at the customers’ fingertips. Shoppers can download the Boost app and the 11street app on the Google Play Store or the App Store. To find out more information on how the Boost app works on the 11street platform or app, visit the 11street FAQ page here.